DJ, PRODUCER & LABEL HEAD PENS AN INFORMATIVE NEW BOOK, DETAILING MUSIC BUSINESS NEWS, SCANDALS, AND TRENDS FROM THE LAST 15 YEARS! 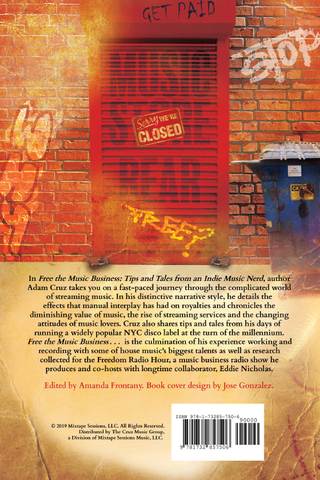 BLOOMFIELD, NJ – Label head, DJ, producer and author Adam Cruz has been hard at work on his exciting new book, coming Friday, December 21, 2018. 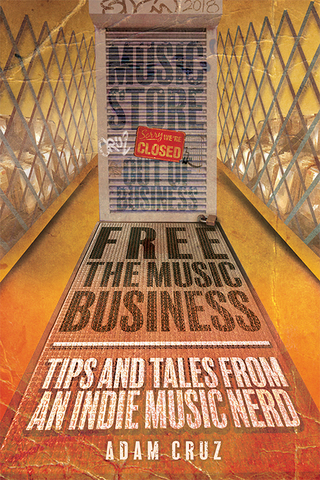 In Free the Music Business: Tips and Tales from an Indie Music Nerd, Cruz takes you on a fastpaced journey through the complicated world of streaming music. In his distinctive narrative style, he details the effects that manual interplay has had on royalties and chronicles the diminishing value of music, the rise of streaming services and the changing attitudes of music lovers. Cruz also shares tips and tales from his days of running a widely popular NYC disco label at the turn of the millennium. Free the Music Business . . . is the culmination of his experience working and recording with some of house music's biggest talents as well as research collected for the Freedom Radio Hour, a music business radio show he produces and cohosts with longtime collaborator, Eddie Nicholas.